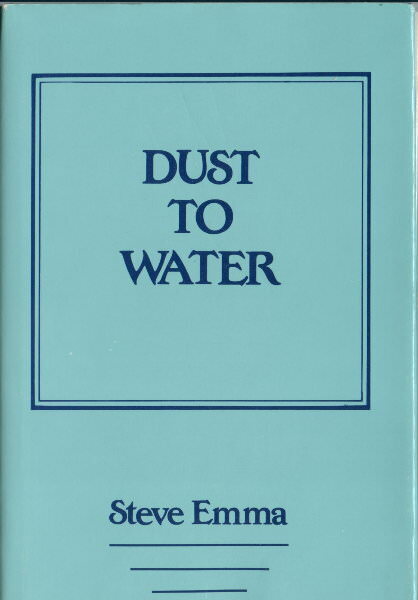 Sculptor, Artist and Poet Steve Emma gives you a glimpse of his poetry contained in two self-published limited edition books, "SEEING FROM AN UNPROTECTED PERSPECTIVE" and "DUST TO WATER". haphazardly bolted to our flesh. but I do not interfere. In the protracted mingling of imagination and sight. this scribbling sound of pencil on paper. than I am able to think to write. but I cannot not witness. I have been wounded badly. So lovely now in your ecstasy? Hush, Dust to water, water to dust.